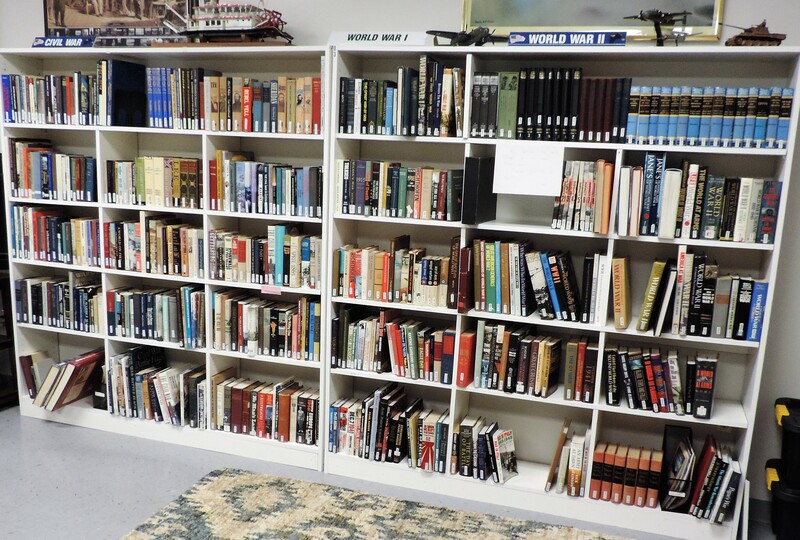 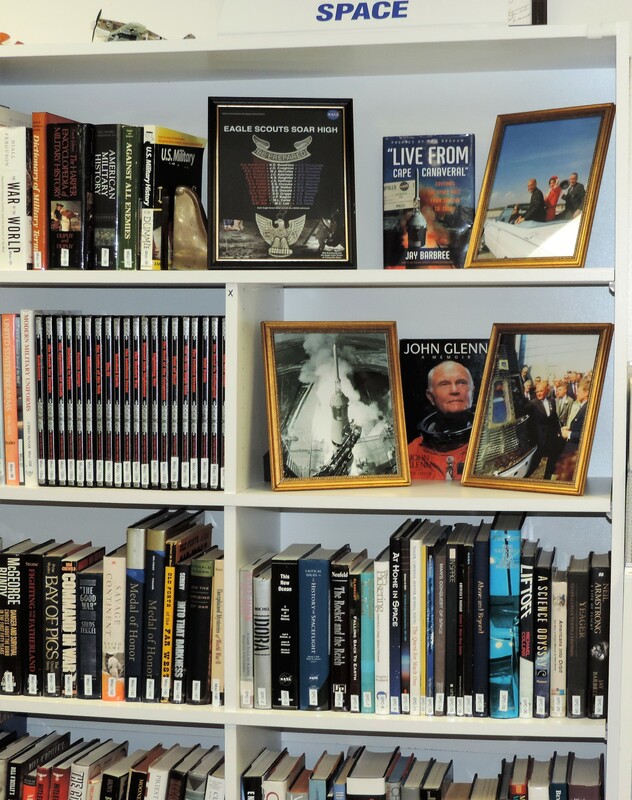 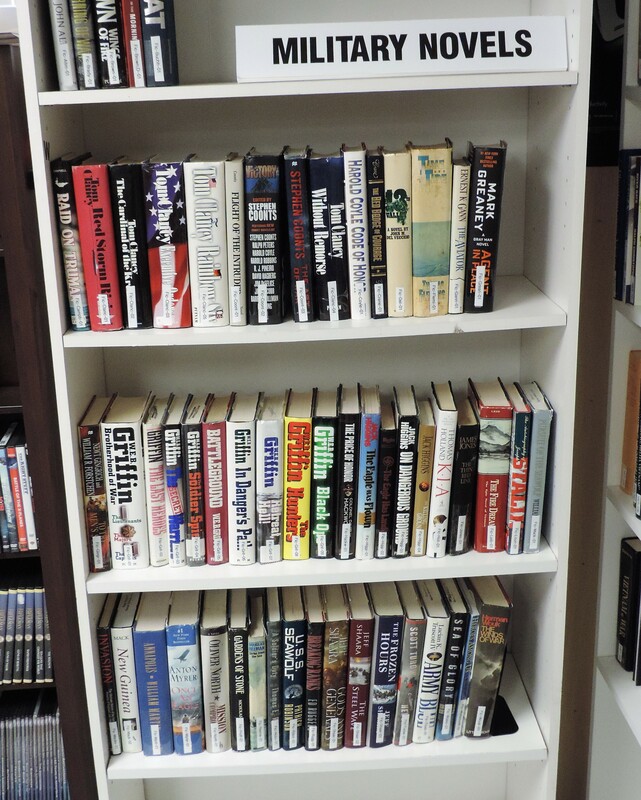 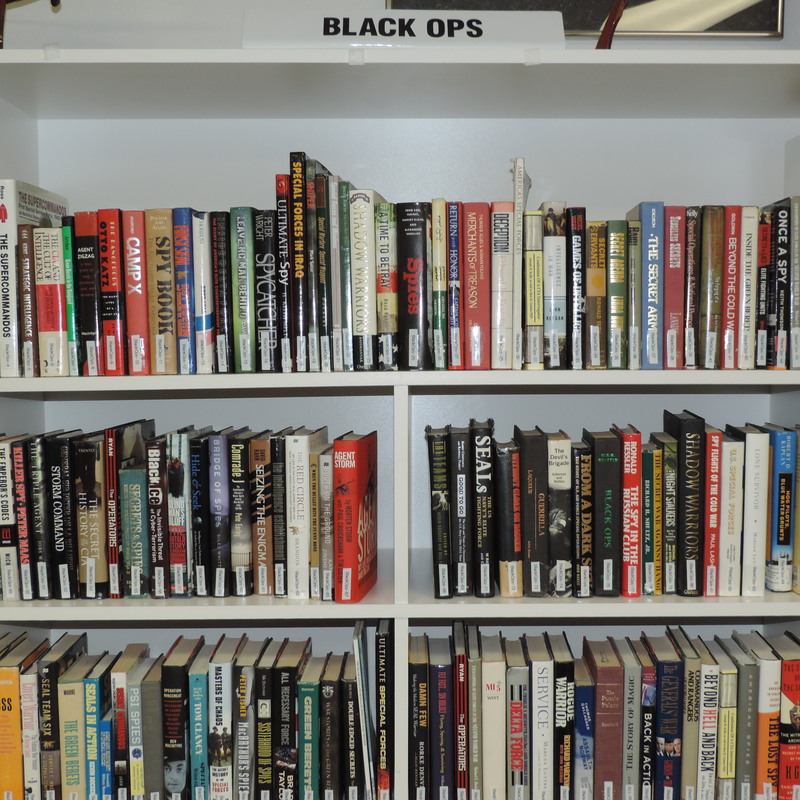 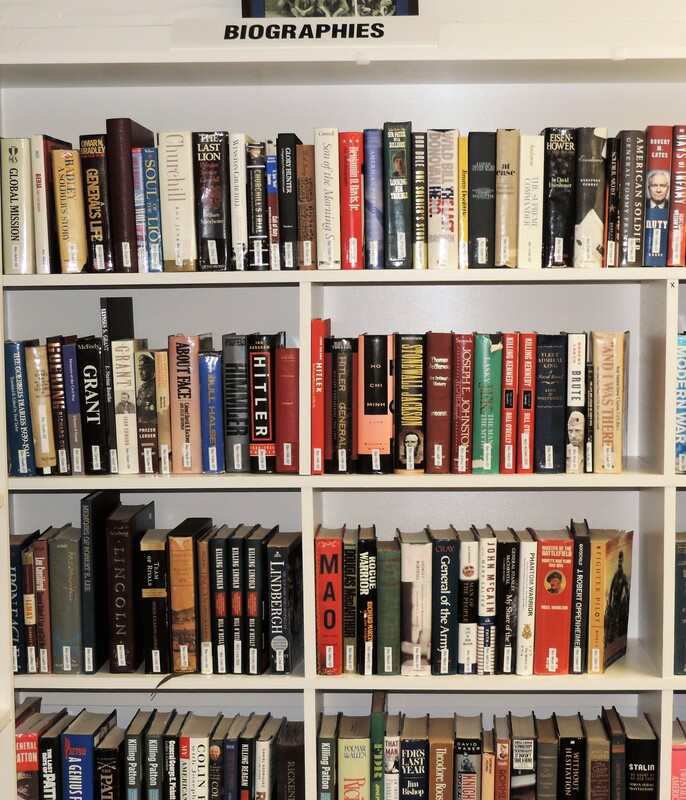 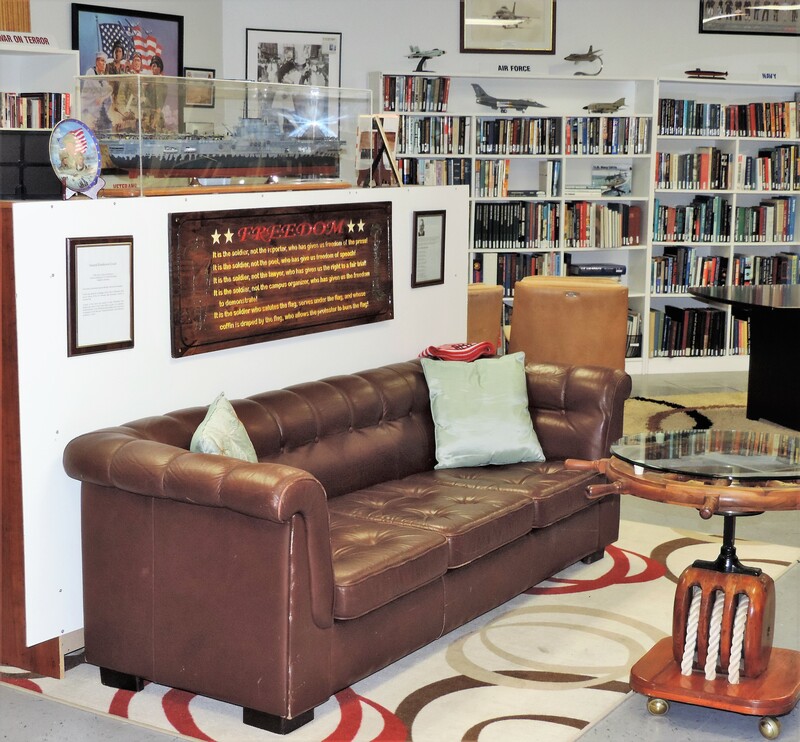 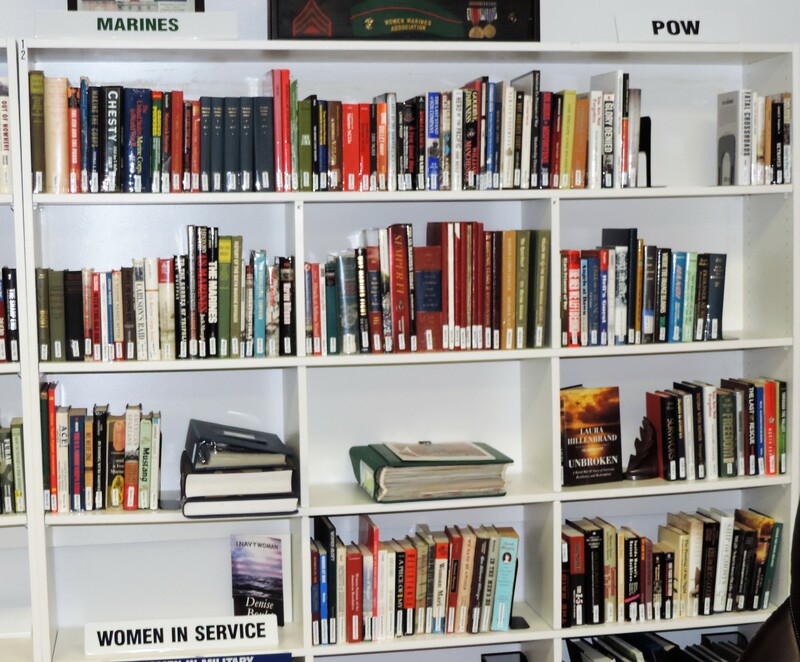 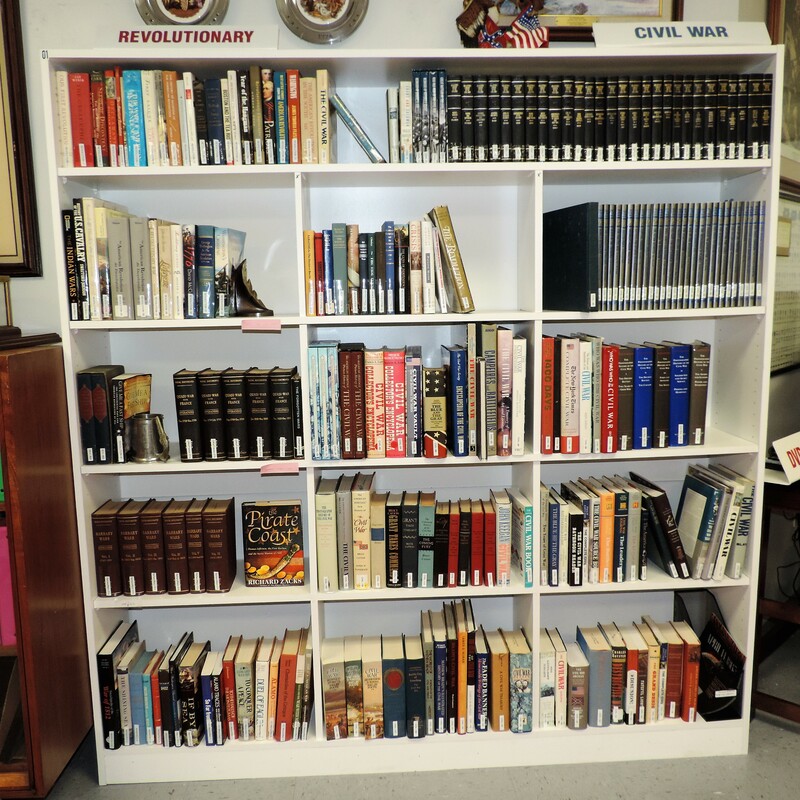 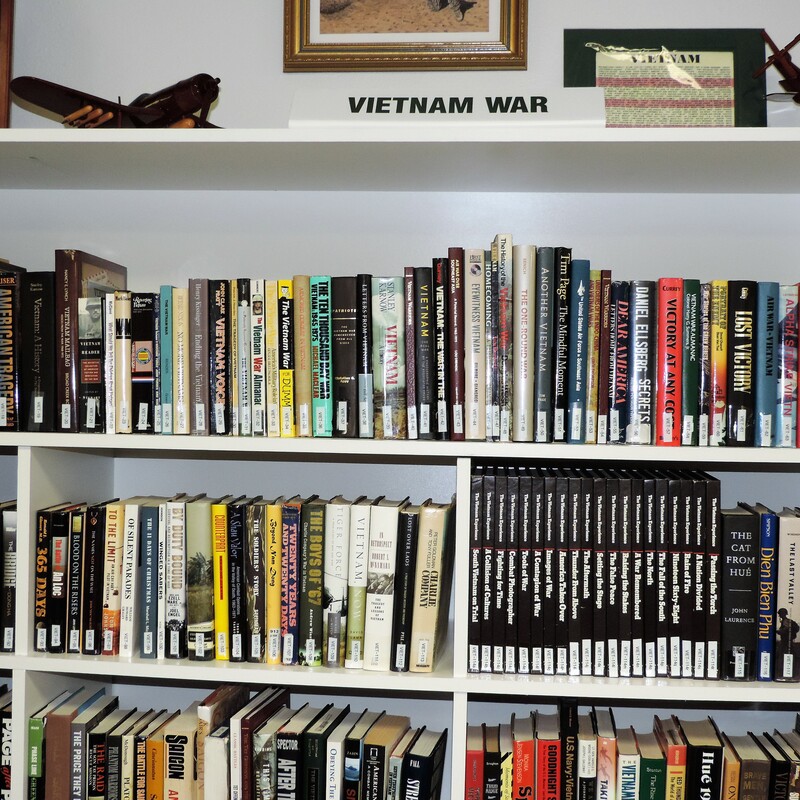 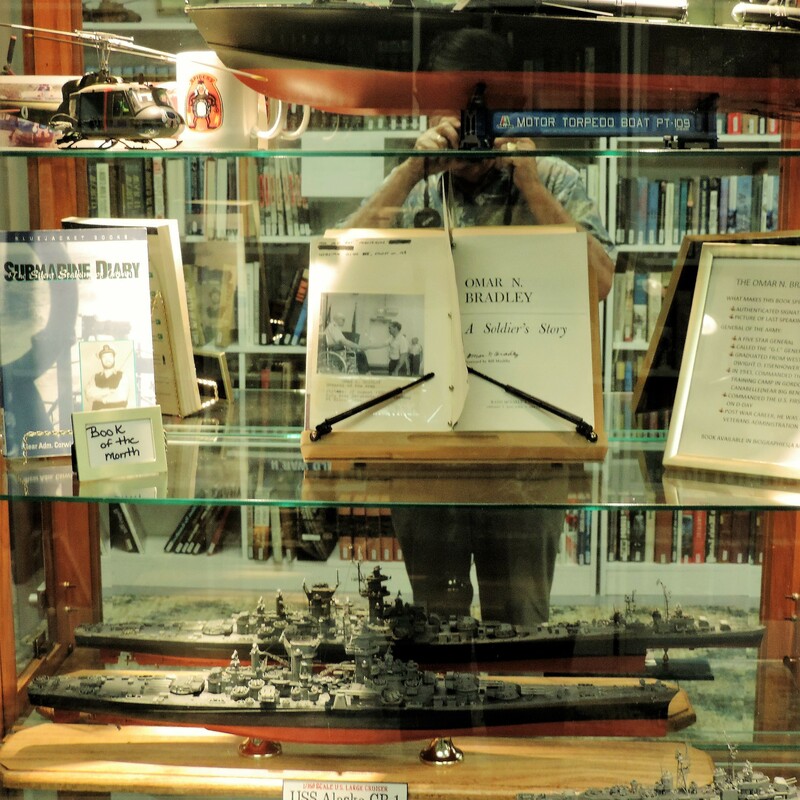 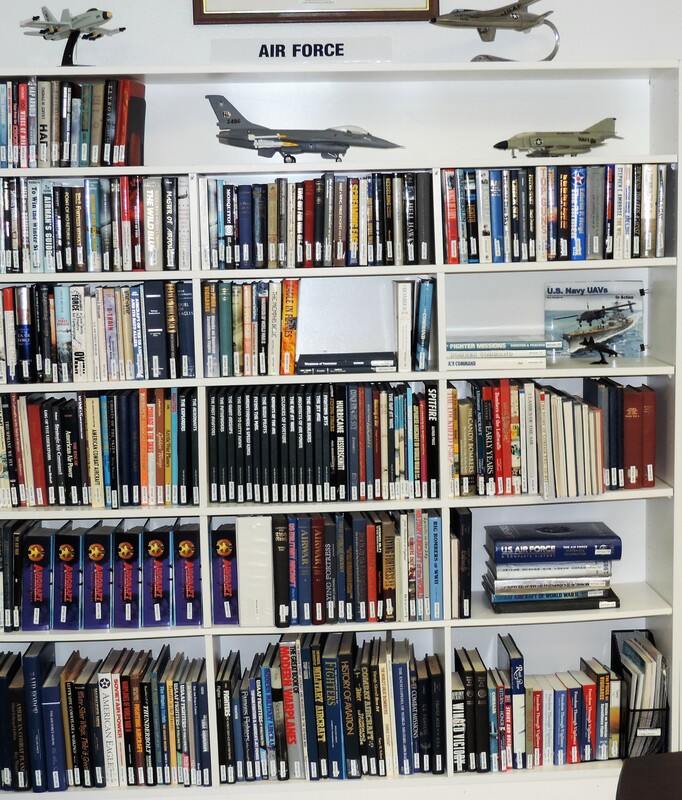 The Veterans Memorial Center military library is housed in a 1,000 square foot room. 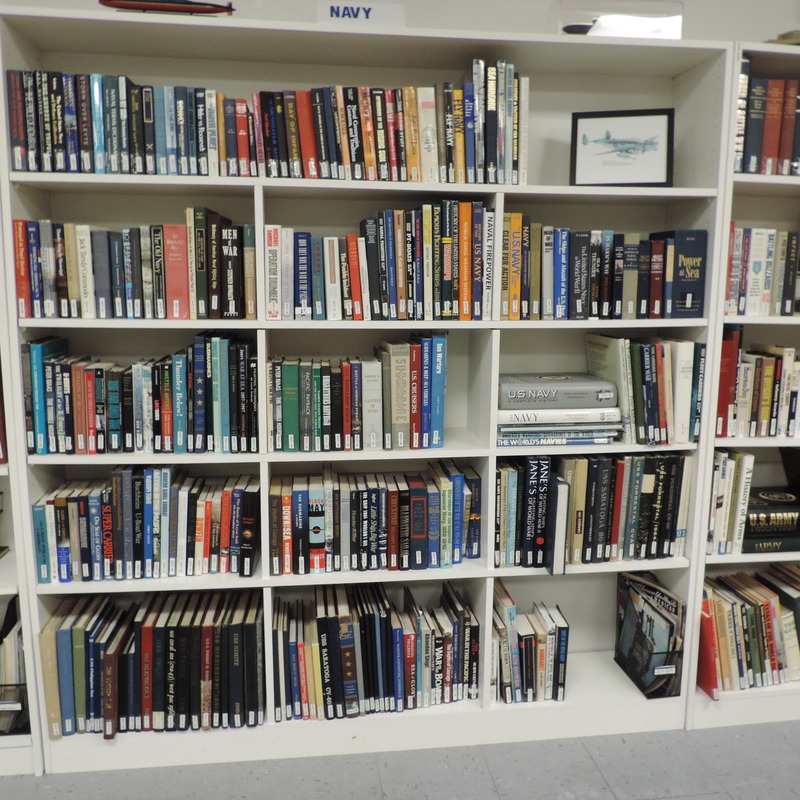 In addition to over 3000 volumes to peruse on site or check out, there is a media station with a DVD player, TV and headphones. 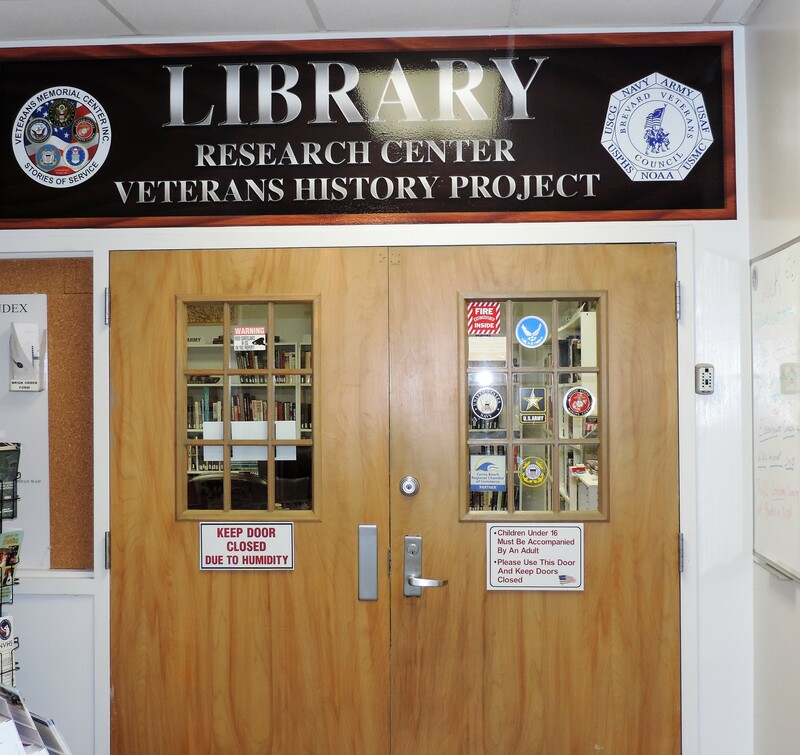 This allows visitors to watch many of the DVDs in the collection or watch a video interview of a veteran in our Veterans History Project. 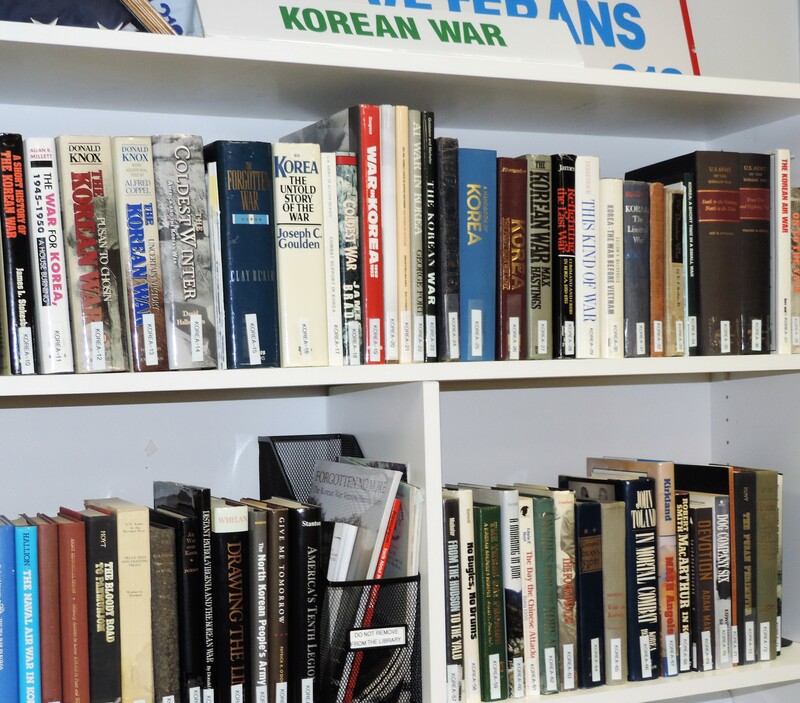 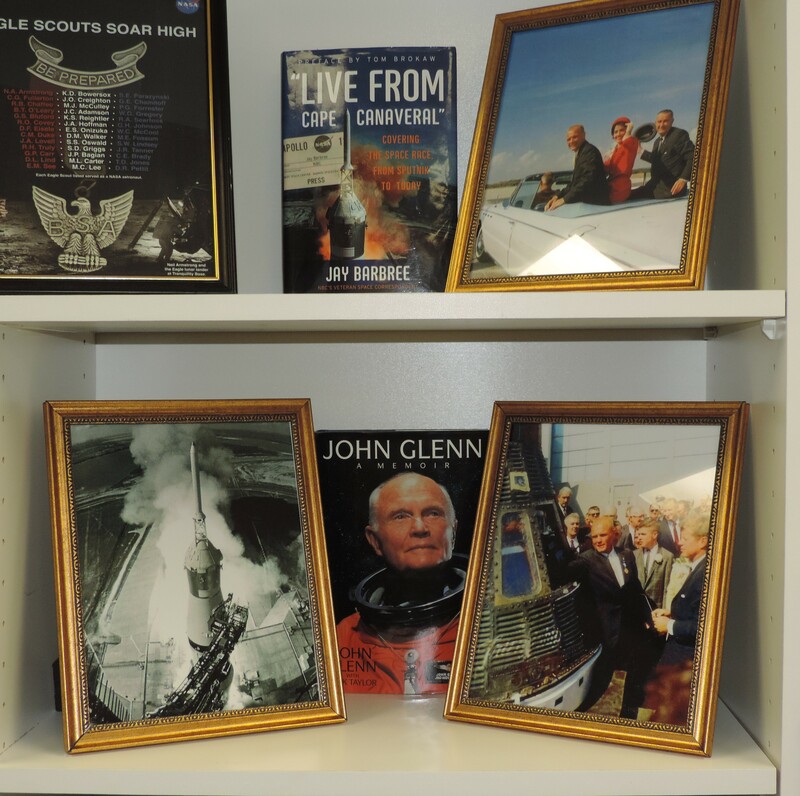 The project includes more than 150 interviews conducted with Brevard County World War II, Korean War, and other veterans for this important Library of Congress project. 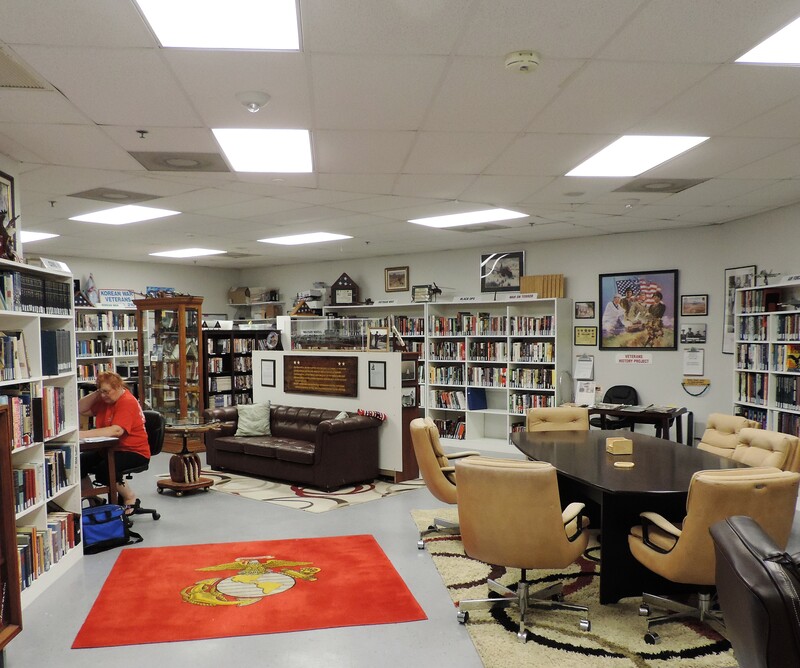 There is also ample room to sit comfortably at a table or on an historic sofa from General Eisenhower’s European office during World War II. 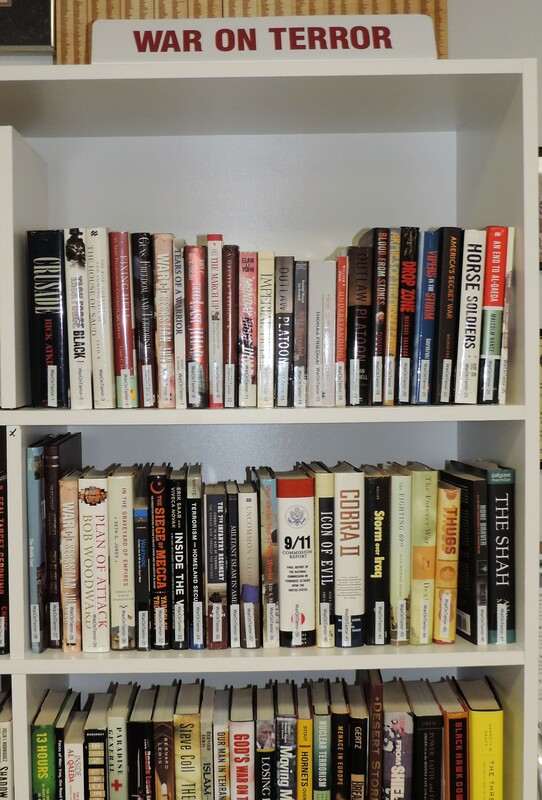 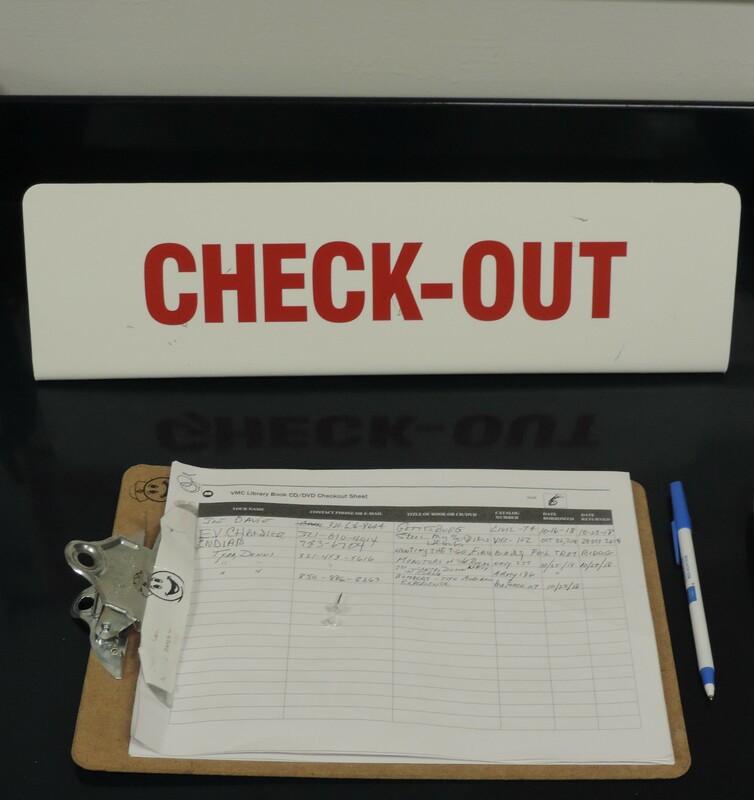 Please plan on stopping by the Library when you visit!